Labs to grade diamonds for their certification use a grading criterion. When you are purchasing a diamond or making an investment in diamonds you must use four of these criteria. Cut, carat, clarity and color are the four criteria that you must use to determine the quality of your diamond. The color in a diamond is the result of its composition; this will never change in the stone. 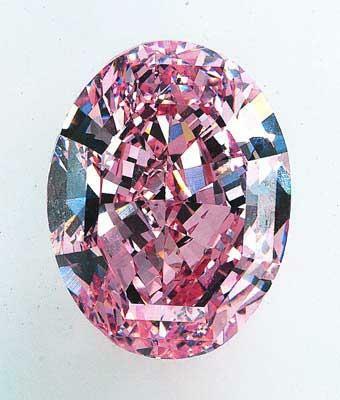 When color is being described in a white diamond, the jeweler is referring to the presence of color in the diamond. They are also describing the absence of that color, as well. The diamond that is most desirable is one that does not have color. This is true of white diamonds because a diamond that doesn’t have color will sparkle more than one that does. The cut of the diamond is referring to the ability of the diamond to reflect light. Diamonds are typically cut with fifty-eight facets. The sparkle of the diamond is directly dependent on the cut of the stone. The angles that are used in the cut, as well as the finish of the stone will determine how well the stone will reflect light and sparkle. Cut can also affect how strong the stone is. If the stone is cut incorrectly it could be broken easily. Also, if a stone is cut too thin, the light will go through the stone and out the back and lose its brilliance and will not shine as it should. The cut criterion is the most important trait of all four of the criteria. There can be flaws that are created in the stone while it is forming. Clarity refers to the amount of these flaws in the stone. If a stone is perfectly clear it is shinier and will sparkle with more brilliance. A stone that does not contain any flaws is very rare so they will be very expensive. If a stone is to be called a flawless stone, a professional diamond grader who is using a magnification of 10X must inspect it. The carat is the weight of the stone. A carat is the same as two hundred milligrams. The carat weight is split into one hundred points or segments. That would mean that one hundred and fifty points is one and a half carats. When you get to the store to buy a diamond make sure that you are not afraid to ask about these things. Get the answers to the questions that you need to determine the quality of the diamond that you are considering. When you are shopping for diamonds that are certified by a diamond grader you can be sure that your selection is of the quality that is stated on the certification. If you know the criteria that is used you will be able to determine the quality of the stones that you are looking at. Shop around and be sure to get the best stone for the best price.